We have been Sierra Toyota fans for over a decade. We have bought 10 new and used cars from them for various family members. We come back to them not only for their reasonable prices but also for their consistent service. This last time was no exception. They greeted us warmly, serviced our car within the specified time period and made some very useful recommendations. They are the best! Bought my camry from Sierra Toyota in 2011. Have been getting my car maintenance from them ever since. No pressure, answer all questions, explain the why, my kind of service .department. I'll never go anywhere else. Ann and I have ALWAYS been Very High On and Appreciative of Toyota Service. 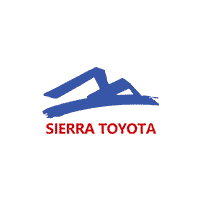 Austin of Sierra Toyota is a PRIME Example of their Service Group. I purchased a 2019 Highlander Hybrid from Sierra Toyota. Carlos Flores was extremely helpful in finding the exact vehicle I wanted. The whole Sierra Toyota team made the car buying experience run smoothly. I will be sure to use Sierra Toyota when car shopping in the future. Second car I have purchased at Sierra Toyota. Charlene makes the transaction painless, follows up after the sale and goes above and beyond. Highly recommend the Team at Sierra Toyota. I went to the dealership knowing my chances were slim to get the truck that I wanted. Eric Morales was very kind and helpful and assured me they could help. They were wonderful with getting the numbers were we needed them and the next morning I was driving around my own truck. I purchased a new 2019 Prius from Sierra Toyota and once again I received outstanding service from them. Carlos Flores was my Sales Rep as I've known him for several years...purchased a new 2011 Prius from him back then and have come to trust and rely on him to treat me right. I'd been looking at used Tacomas before deciding to buy new. Usually, local dealers don't seem to give the best deals but I decided to at least stop by Sierra Toyota. The dealership is under new ownership and the new owner has apparently decided to not let deals go to Tucson or Phoenix. I was told they would meet or beat any deal I could find. Sure enough they did exactly that. I was able to order a beautiful TRD Off Road for a great deal that I am completely happy with, at a price I am satisfied with. I primarily dealt with Julie through all of this. She was a phenomenal person to deal with. If you are looking for a new Toyota, I can't recommend Sierra Toyota highly enough. TRDs are pricey as it is so get the best deal you can. Oh, and ask for Julie! Austin and Gabe provided me with excellent information on Tire purchases. They exceeded pricing from other dealerships in town and while in for tires replacement the mechanic found a week battery which I had them replace it right away. The reason I purchase from Toyota in Sierra Vista is that all the representatives assist customer in a very friendly way.